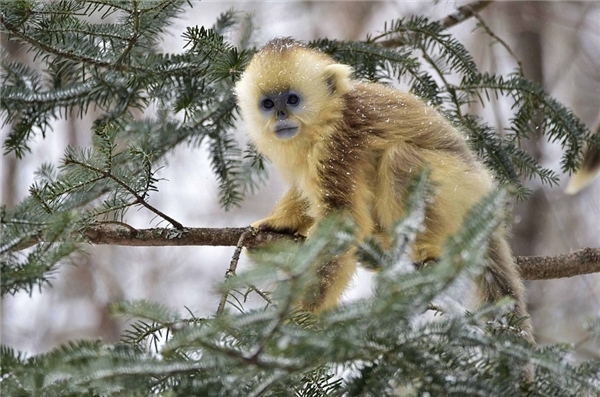 An infant golden monkey gawps in incredulity as it looks around at the heavy snowfall which happened over night at the reserve it resides in, leaving the whole area blanketed in a gorgeous cold white frosting today. 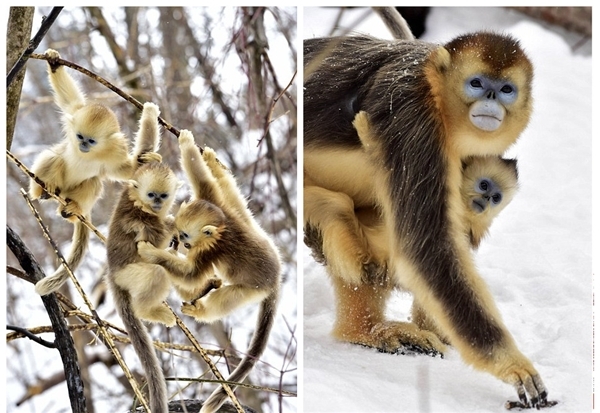 The family of monkeys at the Dalongtan Golden Monkey Research Center in Shennongjia, in central China's Hubei Province, played and jumped around happily as they got acclimatised to the freezing conditions, kicking the powdery snow about with their feet. 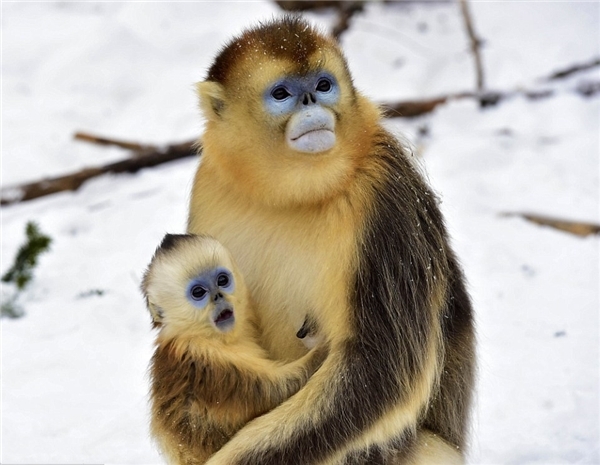 A lucky photographer caught this baby golden monkey gazing amazement at the surrounding blanket of snow as it sits in its mother's arms. 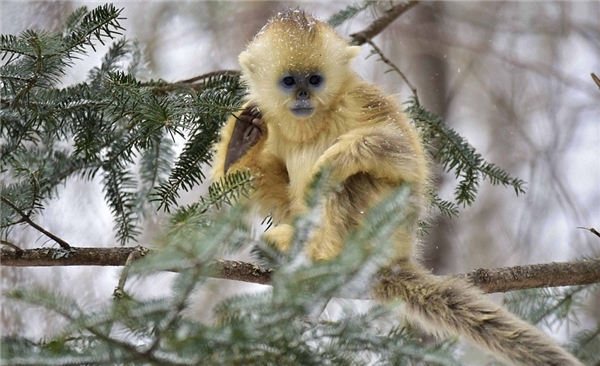 The monkeys at Dalongtan Golden Monkey Research Center in Shennongjia, in central China's Hubei Province, played happily in the snow. 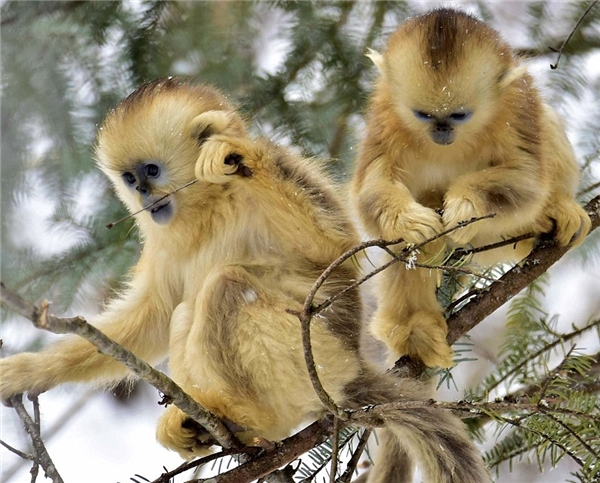 Golden monkeys live for up to 19 years and eat bamboo and fruit. 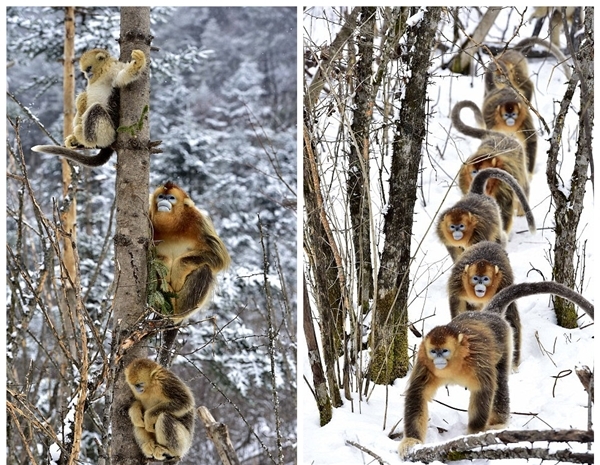 Golden monkeys live in groups of between 30-80 individuals, usually led by one adult male, leading the pack as they stroll and climb. Golden monkeys have unfortunately lived for many years on the verge of extinction and were first spotted in Shennongjia in the 1960. Human traps and snares were thought to have killed off the majority of the golden monkey population during the 20th century.